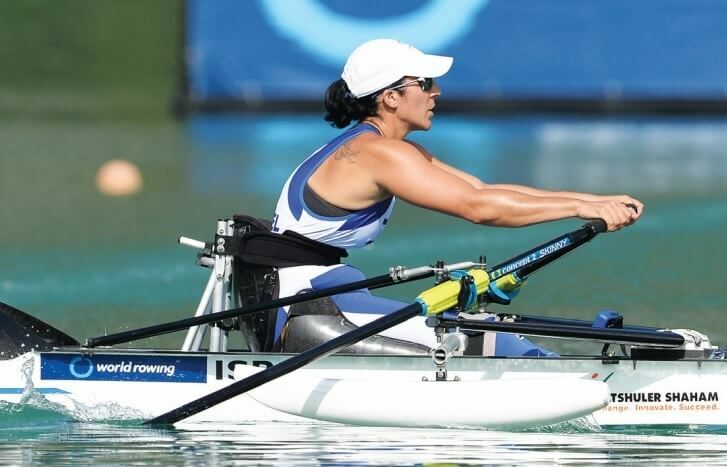 Samuel, who is guided by Italian coach, Paula Grizzetti, and trains in Italy and at the Daniel Rowing Center in Tel Aviv, registered a time of 5:20.52 minutes to win her semifinal heat. Dani Fridman will be aiming to book his place at the Rio 2016 Olympics when he takes part in the men’s single sculls 2,000m semifinals on Friday. Fridman finished his quarterfinal in third place on Wednesday, setting a time of 7:00.57m. “I’m very happy because I was drawn with some of the world’s best rowers,” said Fridman. “I can feel how all the preparations from the past four years give me the energy and composure to compete. The Israel team in the mixed coxed four can surprisingly qualify for Rio should it finish among the top two in Thursday’s B final. Tsofnat Levanon, Barak Hazor, Nissim Nir Mayo and Shay-Lee Shulmit Mizrachi, led by cox Danielle Renny Palatin, are already guaranteed a place among the top 12, but need to finish in first or second place in the B final in order to end the competition in the top eight overall and secure an Olympic berth.